Wellink specializes on development of software and process application for telecom operators, electric-power enterprises, government companies, heavy industry, healthcare and financial sector. Company uses high-level development tools and platforms for business process management (BPM), integration platform (ESB), facilities for aggregation and visualization of information from world class vendors. WelLink's products and solutions are based on industrial standards and the best practices. Wellink company develops a range of integrated industrial products, that allows for customer to automate and control service providing processes, to manage their efficiency and profitability, to integrate the services of third-party suppliers into own services. 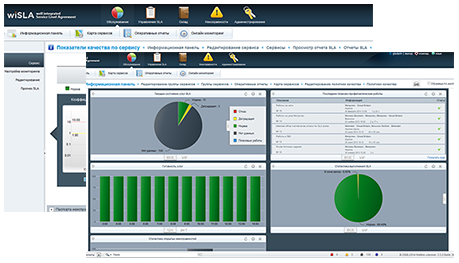 One of them - wiSLA - solution for automation of SLA support processes and SLA life cycle management, have been implemented at several large government organization and trading companies. Wellink cooperates with a range of system integrators, worldwide and Russian software and hardware vendors, including BI Telecom, Metrotek, CA, IBM, Progress Software, Nakina Systems, Nokia Siemens, ZOHO Corporation, Tom Sawyer. Company has a capability to simulate different solutions in testing laboratories of other companies.